Adidas F50 Adizero Messi Presentation case - what is in it? 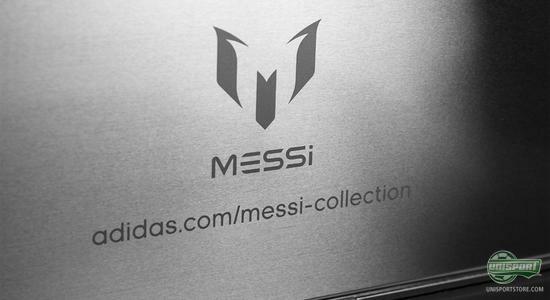 When Adidas unveiled Messi's new signature boot, the Adizero was also presented by the star himself in a cool, exclusive presentation case made from aluminium. It was one of these presentation cases landed here at Unisportstore headquarters and after we were done fiddling with it and shouting about how awesome it was, we gave it to our photographer to shot some nice pictures for your viewing pleasure. 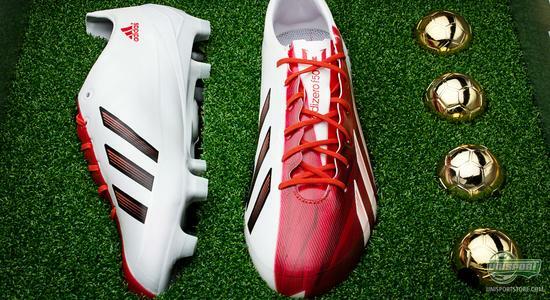 When the Lionel Messi boot was launched, it was the first time in a while that an Adidas athlete got his own signature boot. 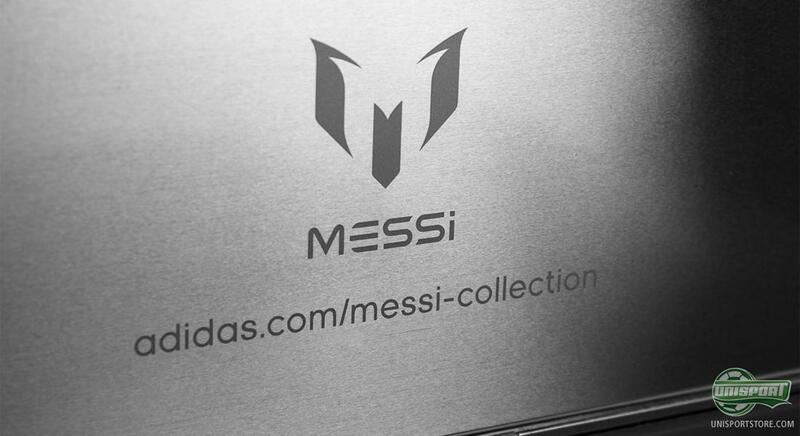 There was however no way around Messi and his extraordinary talent, so Adidas have celebrated him in style. This is why they have made this cool and exclusive presentation case for the boots and when the package arrived from our friends at Adidas, attention quickly turned to the case and the mood was definitely one of awe and acknowledgement. 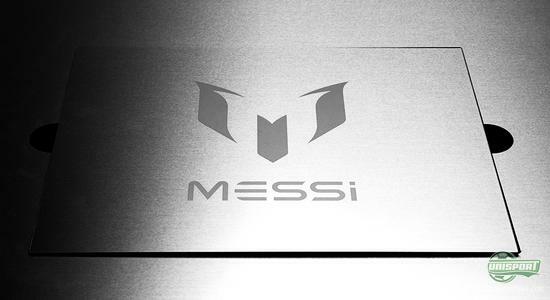 The case is made with a nice aluminium finish and with Messi's own logo emblazoned upon it. When you are finished admiring the outside it is time to open it and here the first thing you see is a small video player, which starts playing once you open it. 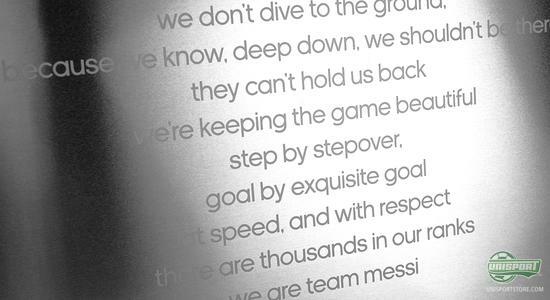 Here you can see the entire Messi mantra, which is a result of Messi and his attitude toward the beautiful game  which are also the rules you must play by, if you want to be part of Team Messi. Even though we where already greatly impressed by the video, the aluminium treasure chest had more treats for us  behind the video panel the new Messi boots were hidden, flanked by four perfectly aligned golden balls. 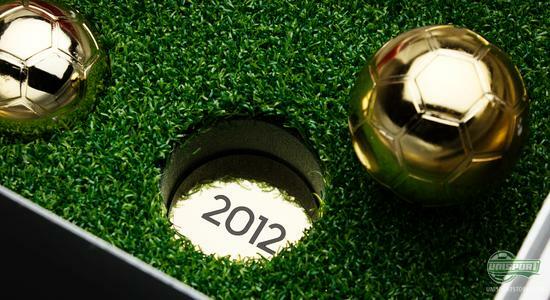 Each ball symbolises a Ballon d'Or, which is a sign that Messi has won the award the last four years running. If you then in turn, lift each of the balls, they reveal the year of which they represent his title as the worlds best footballer. Elegant and thorough - and definitely something that earned some approving nods among the steadily growing crowd around the case. 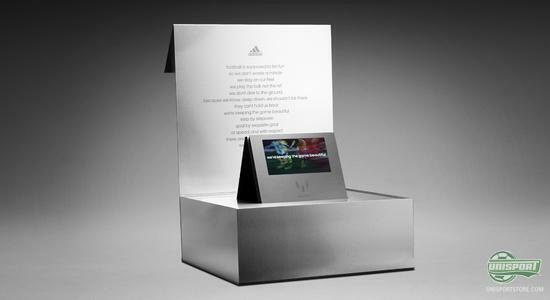 There are so many cool things in the presentation case and that it manages to look so stylish, when it is closed, is something Adidas deserve credit for. This is definitely not the last time we take a peak at it! We are very impressed by the elegant presentation case, which definitely is a strong candidate for coolest thing in the office  but what do you think about the case, the boot and the little golden balls? Is it a cool way to present a new boot  and do you think all boots will come like this in the future? Share your thoughts in the box down below.